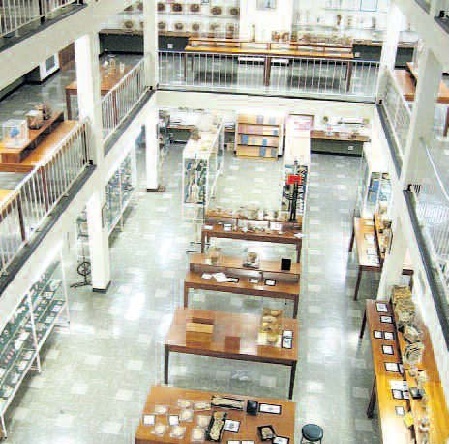 The Medical Morphology Museum is housed at the Medical Faculty at Stellenbosch University’s Tygerberg Campus in Bellville. The aim of the museum is for visitors to leave with more respect for the body and a better understanding of human and animal diversity, past and present. Human Development - Specimens from embryo to foetus to neonate, including developmental defects and embryopathy. Human Anatomy - A large number of normal specimens display muscles, nerves, blood vessels, organs, joints, soft tissue, ligaments, the brain, heart, lungs, kidneys, intestines, etc. Forensic Pathology - The focus of this small, but striking exhibition is death by other than natural causes. Medical History - a range of medical antiquated instruments and apparatus as well as furniture from the previous century. 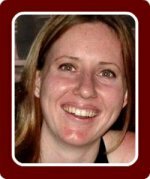 Medically Important Animals - An exhibition of parasitic, poisonous or venomous animals as well as other animals important to medical use or research. Comparative Anatomy - A variety of skulls, skeletons, skins and dentitions of animals are compared to the human skeletal equivalent. Physical Anthropology - A small exhibition of human evolution and other interesting artifacts, including a wide variety of skulls and bones identified as Koisan and other indigenous people. 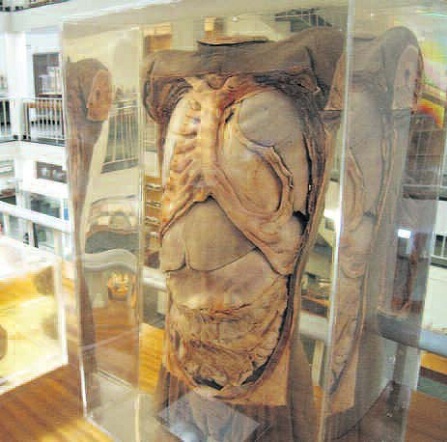 The most frequent visitors to the Medical Morphology Museum are, of course, the university’s medical students, who can compare healthy organs with unhealthy ones, or study what might go wrong during the complex processes of ontogenetic human development. 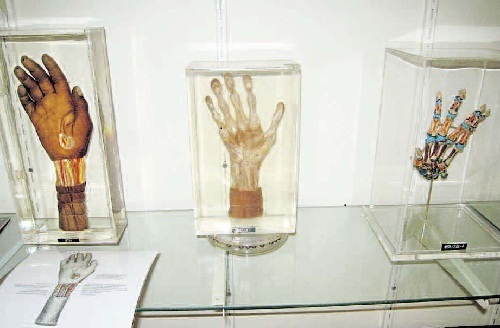 Most of the museum’s human specimens were donated: some were removed in surgery while others were bequeathed. Open to students, school groups and the general public,although the size of visiting groups is limited. At least one adult chaperone (over 18 years of age) is required for every 20 children. Only Grade 11 and 12 learners are allowed.